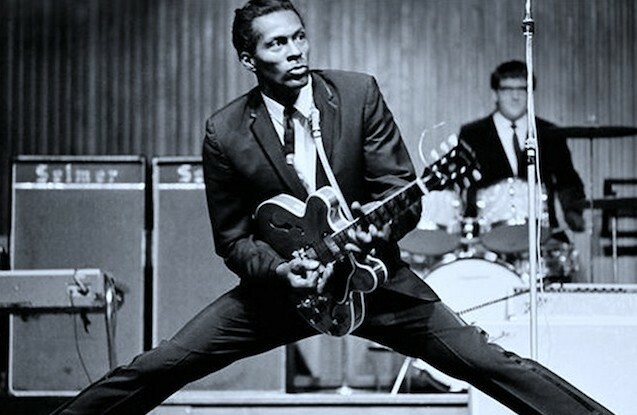 On this week’s Sunday Brunch, we say goodbye to Chuck Berry (pictured) with a trio of rather unique covers of his most popular tunes. Also featured are New Fast Automatic Daffodils, Guided By Voices, The Psychedelic Furs, The Birthday Party, Antietam, The Queers, Spacemen 3, The dB’s, The Undertones, Camper Van Beethoven, Grifters, Blue Orchids, Blur, The Rubinoos, Opal, The Replacements, Bauhaus, Supergrass, Red Guitars, Pavement, R.E.M., and much more. Jonathan Richman & The Modern Lovers — Back In The U.S.A.
← 270: Just Making Noise!! !